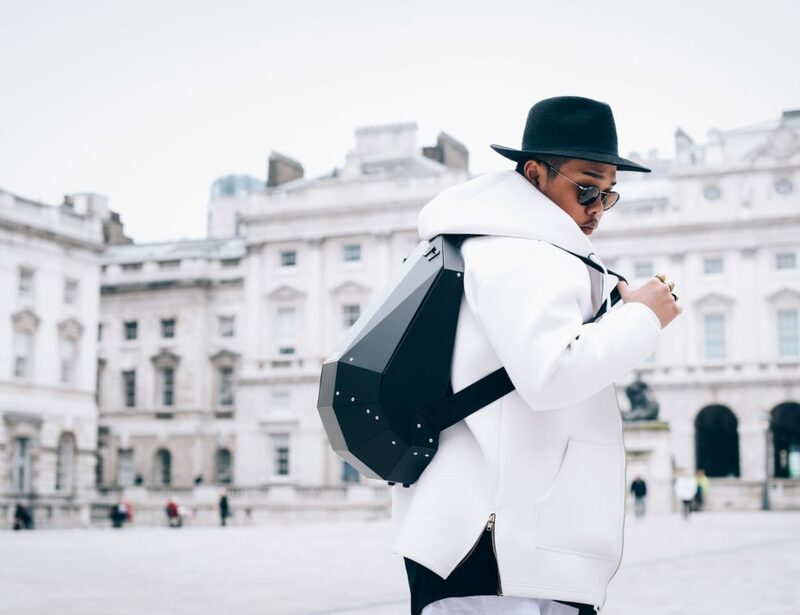 ⚠️Check out more tea accessories here. 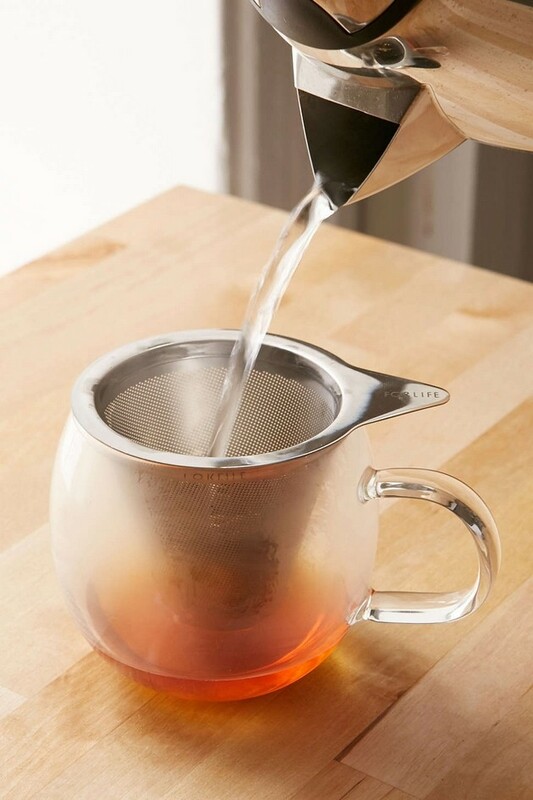 Enjoy every last drop with the Brew-In-A-Mug Tea Infuser and Mug. This complete kit comes with everything you need for a perfect cuppa tea – just add the leaves. 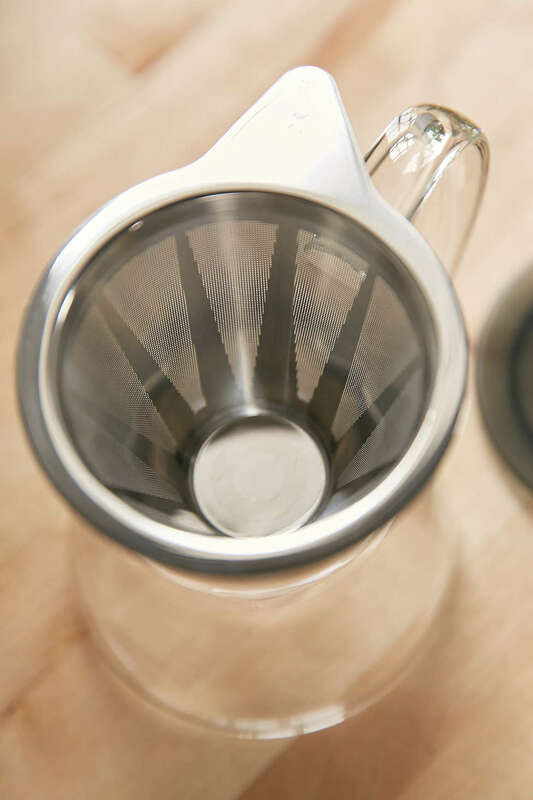 The stainless steel infuser is designed for loose leaf tea. 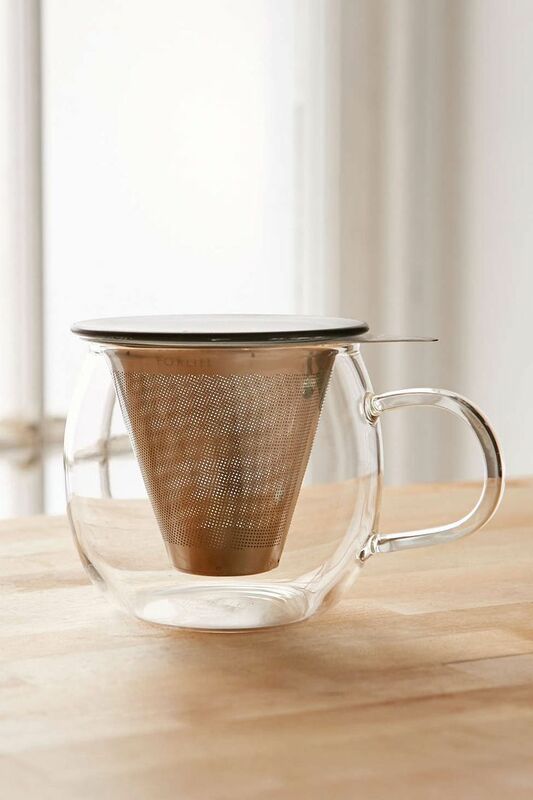 It fits perfectly into the included 12-ounce glass mug, which is microwave and dishwasher safe. 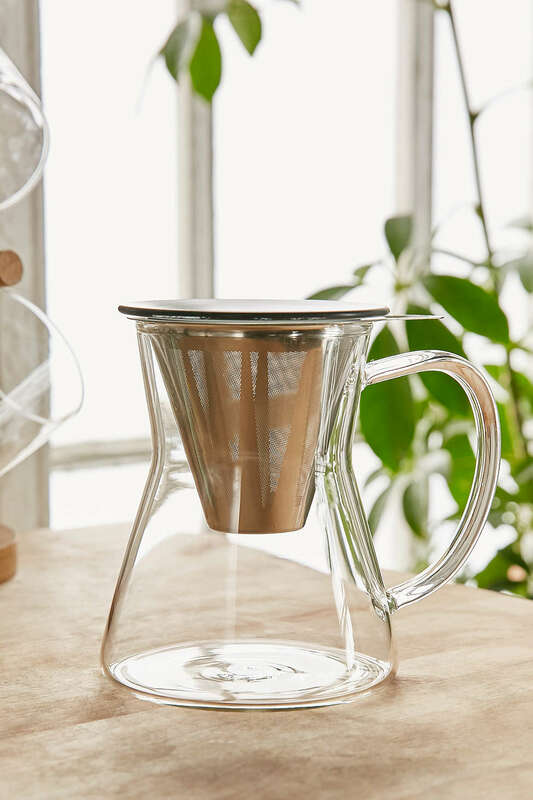 To use, simply add your favorite blend of leaves, fill the mug with hot water, cover the infuser with the plastic lid, and enjoy the freshest tea right in your own home. 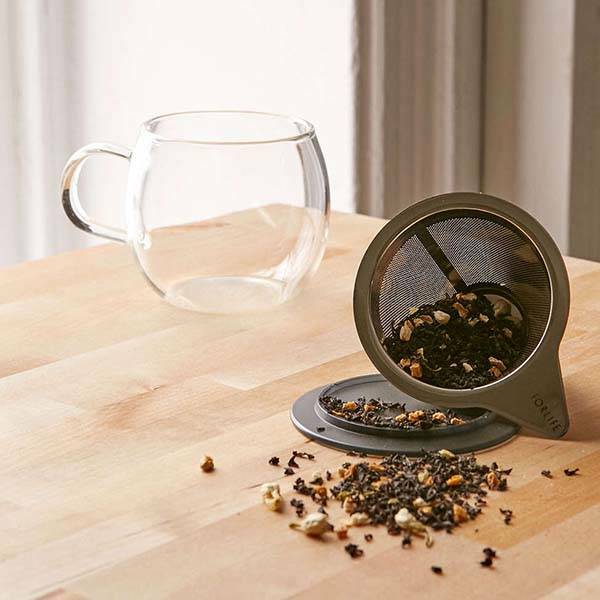 The Brew-In-A-Mug Tea Infuser and Mug is the perfect gift for any tea lover or a great way to treat yourself to extra special mornings. There’s nothing quite like the perfect cup of tea whenever you want it. 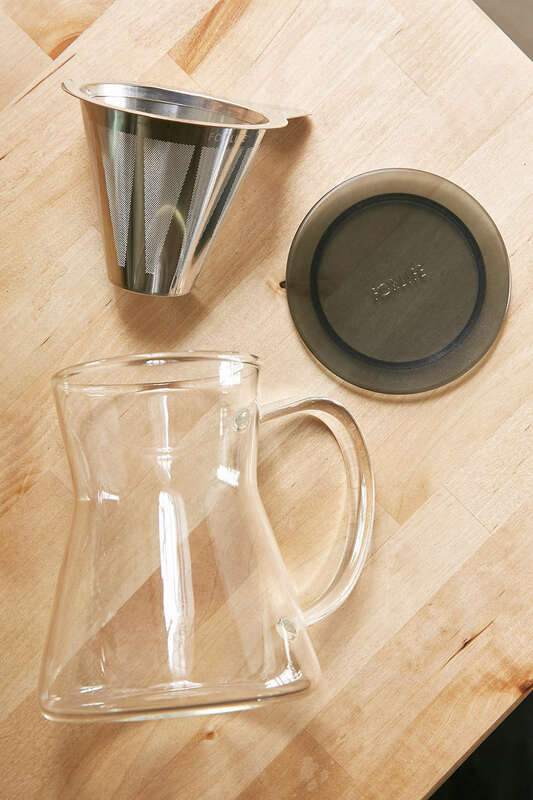 Indulge daily with the Brew-In-A-Mug Tea Infuser and Mug set. 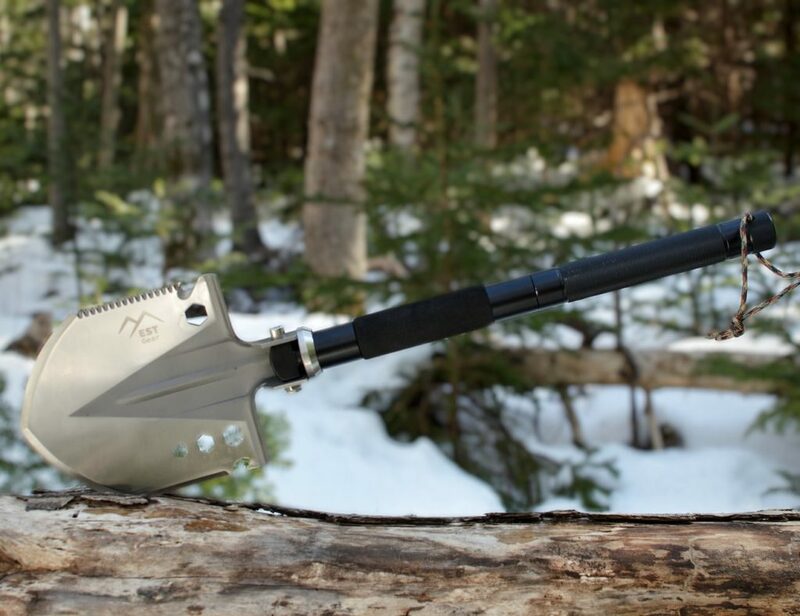 Length: 4.6" - Width: 3.4" - Height: 3.5"